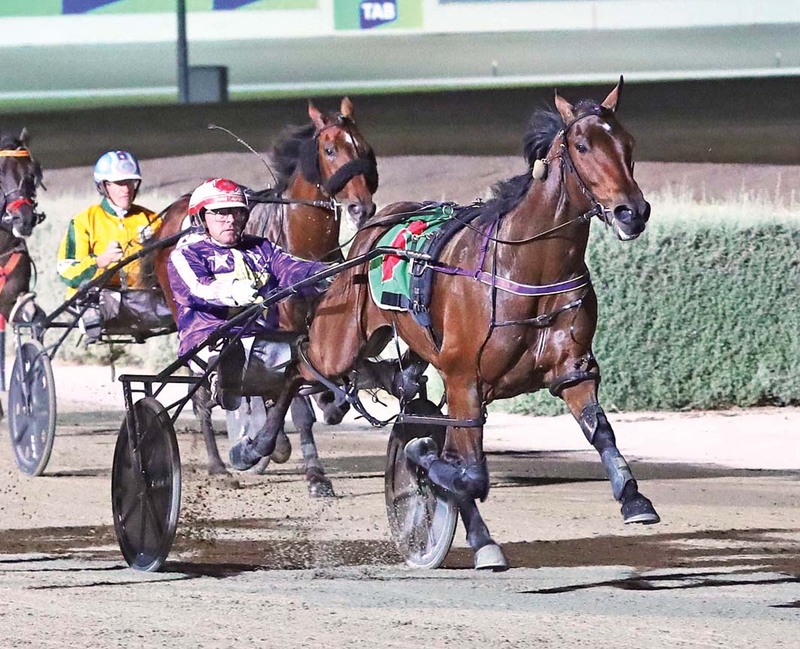 PREMIER trainer Emma Stewart will launch an unprecedented assault on the Empire Vicbred Super Series tonight. With two-year-olds kicking off this season’s edition of the futurity, Stewart will be represented by 10 youngsters across seven heats. Stewart’s evening begins with Kickit Sista in the opening fillies’ qualifier before winding up with Australian Pacing Gold champion, Centenario, in the final colts’ and geldings’ heat. Unbeaten from five starts, Centenario is one of four favourites from the stable, which also includes five runners which are on the second line of betting! Three-year-olds will take over the spotlight tomorrow night, with Stewart set to have 16 members of her team contest nine heats. Beginning with Major Times in a colts’ and geldings’ heat, Stewart’s squad includes a remarkable seven favourites and three second elects. Moving to Ballarat on Friday, Stewart will head to her local track with 11 representatives primed for the six heats. Stewart will again have numerous favourites, including last season’s champion Tell Me Tales. Winner of her six starts for the term, the daughter of Tell All will begin from the outside of the second row. Stewart’s 37 Vicbred entries eclipse her 27 across the three age groups last season, where she qualified 23 for the semi-finals. The record-breaking horsewomen then won five semis, while also preparing seven placegetters, including two quinellas. Stewart’s semi-finalists went on to win three Group One Finals, with her haul including a quinella and a trifecta. During the corresponding semi-final meeting in 2016, Stewart won five semis before capturing three Finals the following week.